The company has partnered with Imaginarium and Adroitec, who are the official resellers of HP’s 3D printing solution in the country. HP has launched its Multi Jet Fusion 3D Printer range in India which are priced starting at Rs 2.5 crores. The company has partnered with Imaginarium and Adroitec, who are the official resellers of the 3D printing solution in the country. HP claims that its 3D printing systems deliver superior-quality physical parts up to 10 times faster and at half the cost of current 3D printing systems. The 3D printers are currently available via the aforementioned resellers. Expanding on its 3D printing industry leadership and momentum, HP Inc. announced the commercial availability of its award-winning Multi Jet Fusion 3D Printing solution in India. HP also announced Imaginarium and Adroitec as resellers of its 3D printing solution in the country. HP’s Multi Jet Fusion 3D Printing solution is a production-ready commercial 3D printing system that delivers superior-quality physical parts up to 10 times faster and at half the cost of current 3D printing systems. HP’s growing partner ecosystem enables businesses to develop game-changing solutions that reinvent the manufacturing industry. As a certified HP 3D printing reseller partner, Imaginarium and Adroitec will bring best-in-class expertise and knowledge of HP’s Multi Jet Fusion technology to customers deploying the solutions, as well as value added services such as the enablement of new applications and industry-leading response time and service quality. “India’s strength in value-added engineering, supported by the Government’s push on local manufacturing and adoption of digital technologies, presents an opportunity for India to benefit from Industry 4.0 transformation,” said Chandra. “HP has been committed to creating technology that advances lives and businesses across India. With HP’s Multi Jet Fusion 3D printing solution, we will support India’s transformation and enable local businesses adopt best-in-class manufacturing technologies.” he added. Speaking on partnering for HP’s 3D Printing technology, Atit Kothari, Business Development – Leadership Team at Imaginarium said, “Imaginarium has always oriented itself on being the industry leader in technological innovation for the country. We are jubilant to be the first company to bring the HP MJF machine to India. With its revolutionary Voxel technology, the HP MJF machine will be a game changer for the Indian manufacturing sector and we're primed to play a part in this as an early adopter, evangelist, reseller & service bureau for the technology”. 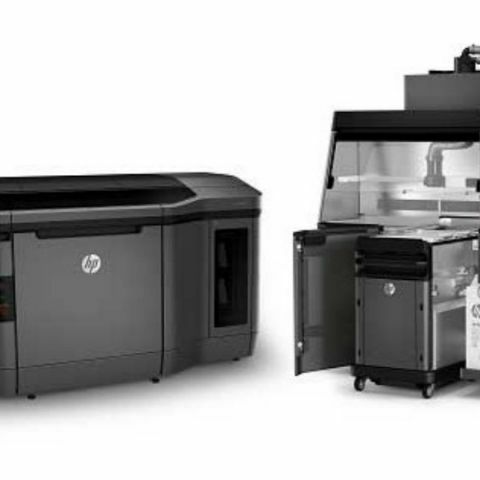 Building on its initial leadership and success, HP is quickly ramping the delivery of its HP Jet Fusion 3D Printing Solutions for customers. HP 3D printing solutions are available in Asia-Pacific, EMEA, and the Americas, with more than 65 channel partners engaging with customers and more than 25 experience centers showing Multi Jet Fusion in action. In addition, HP is driving expansion of 3D printing materials and helping lower costs with its unique Open Platform for materials development. The power of HP’s Open Materials Platform approach is quickly emerging, with more than 50 companies actively engaged, including Arkema, BASF, Dow Chemical, Dressler, DSM, Evonik, Henkel, Lehmann & Voss, Lubrizol and Sinopec Yanshan Petrochemical Company.